All of those can be selected in the Elements tool bar. The settings of the button can be changed individually in the Element inspector. There are many pre-installed icons. 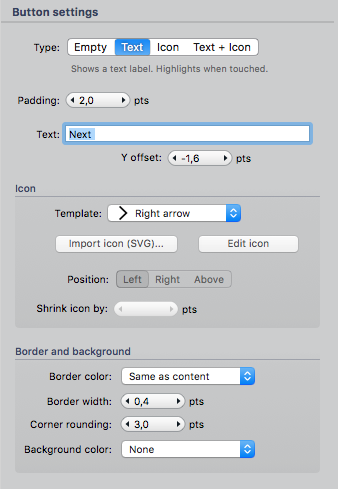 However, there is always the options to upload an SVG-file in case an icon is missing.